The 501ZA is an excellent choice for on-and off-highway use. 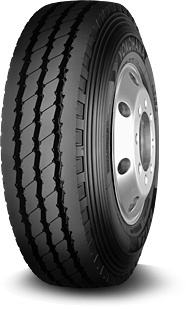 A member of the Z.environment family of products, this tire utilizes the latest advances in tire technology. The 501ZA delivers longer treadwear and low rolling resistance. Its thick under tread offers an extended casing life which makes the 501ZA perfect for cement and dump trucks. Z.environment technology greatly enhances performance through advance tread designs, compounds, casing construction and manufacturing processes. Enhanced durability -Special compound contributes to longer mileage and greater chip resistance. Superior Fuel Economy -The 501ZA compound utilizes Z.environment technology to produce stronger and more pliable rubber. The result is less heat generation, which in turn improves treadwear and provides low rolling resistance. Added Stone Ejectors -Stone ejectors at outside grooves minimize stone penetration.